Lex Live is a community event where people come to hang out, play poker, and meet Lex and other online pros, as well as their fellow viewers who follow and watch Lex stream his play online on twitch at www.twitch.tv/lexveldhuis. 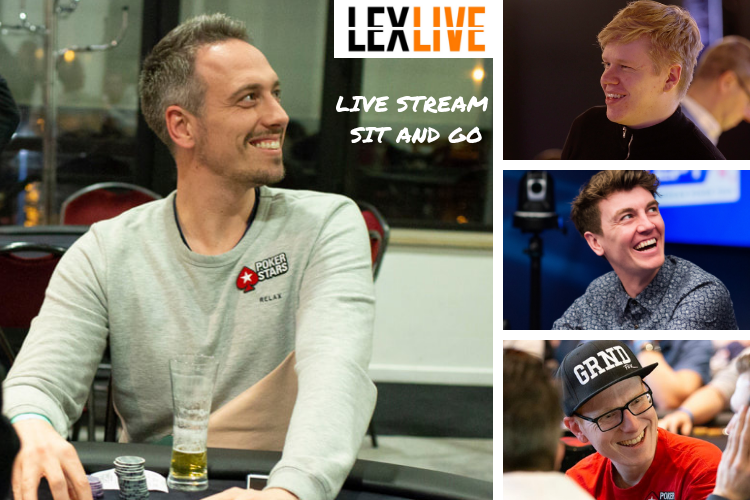 The inaugural Lex Live is taking place at the Grand Casino de Namur in Belgium. It includes several tournaments, including some turbo events, a high roller, and a main event. In addition to poker, there are a lot of associated activities and chances for fans of the stream to meet up in person and socialize. "We're going to be playing poker. There are going to be some other activities, too, and we're going to be hanging out at the bar. There will be some cool twists on some tournaments. People will recognize a lot from the stream in it" Lex told the PokerStars Blog. The venue, Namur, was chosen for its many amenities and ability to host live tournament events, including being set up for a televised final tables. It's also reasonably centrally located in Europe, allowing for easy travel for many of Lex's viewers and fans to attend. Events like Lex Live help bring together communities like the Lex twitch fans, the PokerStars community, and the poker community at large. They also provide an opportunity for online poker players to get their feet wet in a live poker environment whilst among friends. With a rousing success at this first Lex Live event, we'll look forward to seeing many more to come. The full PokerStars Blog write up for the primary Lex Live can be found here. Lex and the entire PokerStars team would like to thank all who attend, and look forward to seeing you at the next one as well! Did you attend Lex Live? Share your experiences below!